Whether you’ve had rain water damage in your home or a pipe burst flood in your business, or even a sewage backup, Mastertech provides immediate response for emergency water removal, flood damage clean up, water extraction and sewage clean up in Eastern PA. We can work directly with your flood insurance provider or help you figure out your water damage coverage. Water damage due to flooding can cause many issues for your home or business. Electrical issues, plumbing problems and possibly mold are just some of the many hazards faced by Eastern PA homeowners after a flood or water leak. Getting flood waters out of your home quickly is very important. It only takes 24-48 hours for mold to develop and start causing property and potential damage to your health. 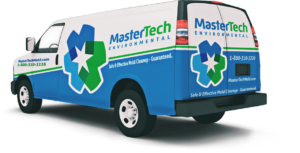 Mastertech of Eastern PA’s water extraction experts have the knowledge, training and state-of-the-art water removal equipment to remove flood waters from hardwood floors, carpet and padding, tile floors, basement and crawl spaces. Looking for a Certified Eastern PA Water Damage Cleanup Company? Look no further. We provide flood cleanup, emergency water removal and sewage cleanup for homes and businesses.